The Augmented World Expo 2015 starts today. I learned about it through @VDCwhiz Cesar Escalante at work. He and I are volunteers at the conference in order to get free conference passes. The conference is at the Santa Clara Convention Center. I am taking Caltrain to the conference, my first trip using the “real” train south. It’s only a 2 hour trip door to door, but I truly feel like I am leaving the city for a conference, but get to sleep in my own bed each night. I hope to get some work done during to commute. I plan to get my badge, take a few classes this morning and volunteer this afternoon. I then get full access the next two days. Why am I going? This is not your typical AECO conference. In fact, I don’t expect to see many from “our” world there. There is one session tomorrow with my friend @MetaverseOne Damon Hernedez, hacker behind @AECHackathon. His panel will be talking about AR in Real Estate and Construction. I am going because this will enter the AEC market soon. We as an industry are typically slow to evolve, embrace change, or implement new technology. Microsoft Hololense is getting attention as of late and since the SketchUp team is trying to integrate it; Architects at the AIA are now gaining interest. Construction has started to show interest from what I observed at FutureTech and the BIMForum. Players like Daqri have been showing of their AR integrated hard hat. I plan to check it out on the exhibit floor. Many design firms want to put their creations in gaming engines, but they don’t know what that means. They download a free version of Unity and hope to create an Xbox experience for a tech savvy client. Google ended their developer conference keynote last week with VR, showing the new 360 GoPro drone with 360 Hero coming soon. Why end a huge keynote at a critical conference if VR if it’s not of interest to an important innovation company like Google. I know I am paying more attention. I am going to see what more I don’t know and could learn about Augmented Reality. Could AR be the next disruptive technology? I plan to find out this week. I am a process guy. I love helping to improve workflow. I am also an ideas person. I might not know all the answers, but sometimes I get the concept or initial idea right. That is one of the reason why I love hackathons, like the one coming up in SoCal, London in July and three months in Seattle. You get to take ideas and test them really quickly. I have also learned, recently working with software developers, feedback is more valuable than you would think. They try something, find out it if works (or if you like it) and then implement it. The feedback loop cost time and money, so the quicker the response, the quicker to market. You can also see how the world works with this concept at a higher level. I think of how I use Twitter. I follow the people I would like to have a drink with (coffee or otherwise). If they share something I want others to hear…I re-share it. Sometimes I have something to share and hope that others will share it. I have found that twitter is my filter to discovery. I have a sea of people looking and finding…for me in a way. I don’t have to follow and read every blog post or new article. If I tried, that is all I would be doing. Instead, I follow those who follow. I also follow some of those who write. In many ways I am (when on twitter) in a room of like minded people – an incubator of idea sharing. People who share are my kinda people. When you combine twitter – call it discovery – with blogs (like my little site) you start to expand upon the 140 character limit on twitter to a larger perspective. That is also why I love sharing videos, still not sure if I will leave YouTube and fully go to Vimeo…or something else. [YouTubes/Googles latest efforts to deliver VR might swing me back] But when words are not enough, video is great! The blogs and videos are great for sharing and documenting all at once. So, when you put it all together. 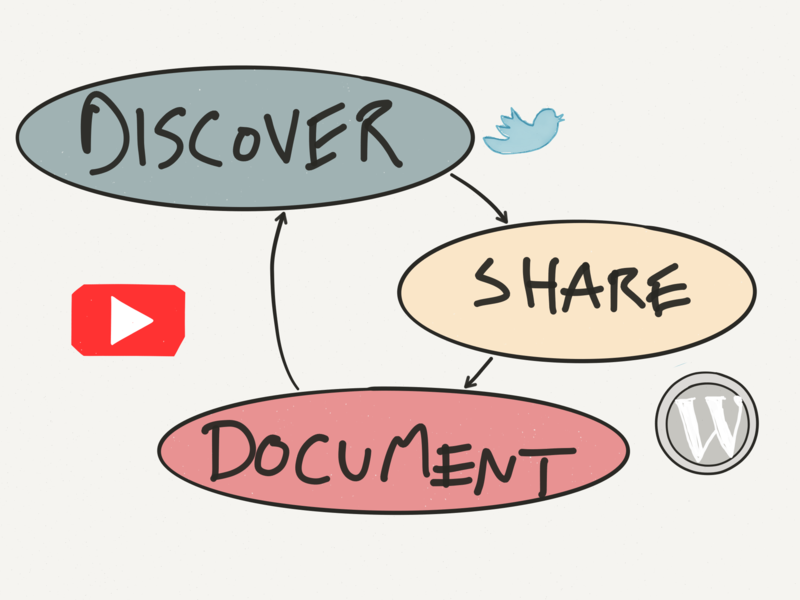 Discover via a tweet or post – share with others via retweet or post – document via post or video – then re-share it. The cycle never ends. And sometimes is just cool stuff on the line. Last month I had the opportunity to speak at BIMForum, my first time as both an attendee and speaker. The Spring BIMForum was held at the Hilton Bayfront Hotel in beautiful sunny San Diego California. An evening watching baseball in the shade with hotdogs, peanuts and beer while geeking out with other BIM Gurus could not have been a more perfect start to the conference. I had fortunately finished my slides the evening prior to headed down, so I actually enjoyed the evening. I was not sure what to expect as my interactions with the BIM Forum organizers had been more casual than past conferences I have spoken at, but when I joined everyone for breakfast I was already impress. They had a room full of software vendors, a nice simple spread of morning chow, and when I made my way into the main hall – wow! They had a huge room with a stage and a camera crew – straight up professionals here. I had been honored to speak, but my butterflies kicked in at that moment because these folks were serious about BIM and education. I was excited all the more to take the stage soon. The morning kicked off with the usual welcomes and thanks and John Tocci shared the long history of the Forum and when the AGC and AIA joined forces on the effort. The format was effective. The morning sessions were big topics, broad and relatable by all followed by a Q&A session in review of a grouping of presentations. The lunch break offered the opportunity to network and speak with the vendors. If I were a technology vendor trying to speak with leadership at AEC firms, I would be at this conference. We all could speak to one another at a higher level, very few newbies here. There is no “convincing” going on here, everyone gets it and wants more at the next level of knowledge sharing. Two solid days of content and networking. All of the presentations are online via the BIMForum YouTube Channel or here via the BIMForum Site. Here is a direct link to my talk on Data Management Project a Lifecycle. It was a short talk, but my general message is to share the data and only ask for the data you need when you need it. My position is that is all does not need to be in the model, but that data in a external database linked to a model makes more sense. What do you think? Let me know on LinkedIn or @brokhoward. I would love to hear your position. And my slides (junk as a PDF) – but if you really want them they are on posted here on authorstream. In general I was impressed at the professionalism of the show, refreshing to the quality and care taken in pulling it all together. The format of morning talks followed by smaller (still large) specific tracks was a great way to share a lot in just a few days. I got to meet a ton of people across the industry and learned more than I bargained for. I will be back for sure. The next BIM Forum is October 20-21 in Orlando. Go here to learn more.